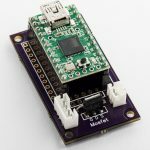 Control the Neato XV Lidar with an Arduino compatible board! This is as close to plug and play for your robot as you can get with the Neato XV Lidar. 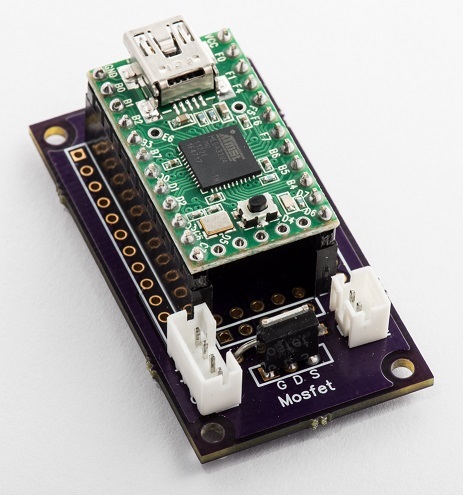 This interface board connects directly to the Neato XV Lidar and controls the rotation speed through Pulse Width Modulation (PWM). The XV Lidar Controller receives the serial data from the XV Lidar looking for the RPM data embedded in the stream and uses a PID controller to regulate the speed to 300 RPMs. The data received from the Lidar is relayed to the USB connection for some upstream host device (PC, BeagleBone, Raspberry Pi, etc.) to process the data. Connect to the Teensy USB port at 115200 baud. When sending commands, use the “newline” character sequence to signify the end of a command. Before sending most commands it’s helpful to stop the streaming of serial data with RelayOff.